Legends is a nice place to live and the apartments are very spacious and homey. The college campus is very close also which makes it easier for students to get to class faster while having the luxury of living off campus. I personally thoroughly enjoy living at legends. It’s a very nice apartment complex that is very well kept. Maintenance tends to respond quickly and effectively to any issues and the clubhouse hosts many events to interact with the residents. I’ve really enjoyed living here overall! All of our maintenance requests are always answered in a timely manner and you get a lot for what you pay! Staff is also always very friendly. The community is amazing, everyone is always smiling and so refreshing! 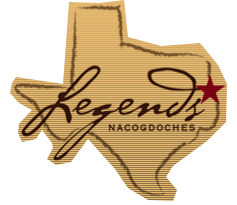 The staff is always willing to help and make sure your time at legends is amazing! Can't wait to spread the word! The management and resident assistants are so friendly and helpful! They always help whenever I have any issues, which is rare! I love the amenities, the pool and workout area are both great! I love going to the pool during the summer! I love legends and the staff here! They are so sweet and accommodating to all your needs. I’ve had nothing but good experiences at my time at legends! It is a good value for the price. Distance from campus is very convenient and the office staff has been very friendly and helpful. Maintenance is also very respectful and they get everything done in a timely manner. My only complaint is that the units themselves could use some updates. The same things in our unit are constantly breaking. It would be nice to get the same upgrades as the other units available in Legends. Love this place!! Everyone is so friendly and it’s in a great part of town! Right next to SFA Campus and really close to a lot of eating options as well. Great units and extremely nice! I have not moved it yet, but I go over to my friends apartment whom I will be living with next year and I absolutely LOVE IT!!! She has never had any issues or complaints. She showed me around the complex multiple times and I just keep falling more in love! I have lived here for a year as of January and have had nothing but good new to report! Aside from the usual noise complaints the apartment has been fabulous. Any issues that arise the office and maintenance staff are always very prompt and professional! Staff is sweet and very welcoming everytime I come to the office! I love legends and how comfortable it is! My room is so perfect and I never want to leave. I love legends the staff is nice and the people who live here are awesome. They have great amenities, like free cable, including HBO. They also have a great lounge area. It’s been an alright experience. I wish when I would put in a maintenance request they’d actually fix it completely and not just half do it. Great place to live!! They are so accommodating of our needs! They also accept pet even though the pet fee is alittle much, i think it’s so worth it!! Also it’s so close to campus it’s a nice walk!!! I’ve yet to move in but when i signed my lease and toured the staff was very friendly and welcoming and answered any questions i had about moving and signing a lease. I've lived at Legends for two years, and I love it. It's just a short walk to campus. Large closets and personal bathrooms are a definite plus. Great amenities and nice staff! Fire alarms are too sensitive like it literally went off while I was boiling water! I love the apartment though it have very nice features! Experience was quick, fast and easy. The customer service was great. I would recommend this pace to anyone looking for a place to live while attending SFA. Ive never felt more at home than I do here. Everyone in the office is so friendly and informative, I love it here. I will miss this place like crazy after I am gone. The community here is fairly friendly, although some entitled attitudes show their true colors from time to time. My upstairs neighbors are extremely noisey just about every day and there’s always raccoons roaming around in the back of the apartments at night. Other than the cats that seem to multiply and be all over the property all the time too, I really do like legends community. There is a lot of friendliness and welcoming included here and I am confident in saying it plays a big part in outweighing the negatives. I absolutely love living at Legends! Hands down the best apartment complex i’ve ever lived at. Would recommend this complex to everyone! The staff is so friendly too! Legends is the best apartment to live in forsure!! The units are so nice and updated and well layed out. The staff is also extremely friendly and helpful with whatever you need. It’s a great place to live. It’s very spacious and there are a lot of great amenities. It’s super close to Stephen F. Austin and the office’s staff are very friendly and helpful.